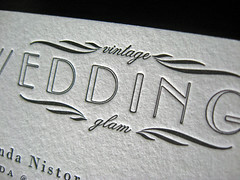 We love the look of the Vintage Glam Weddings logo! 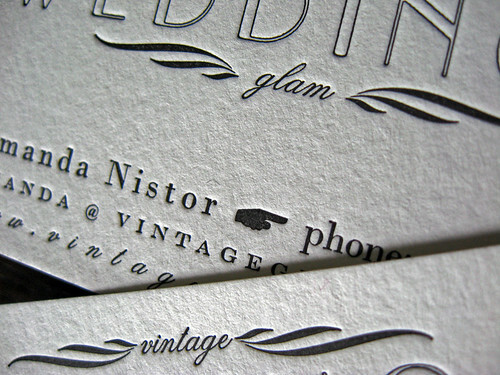 These are a set of business cards from our archive, printed back in 2009 when Amanda was writing about vintage inspired weddings from around the world on the Vintage Glam Weddings blog. 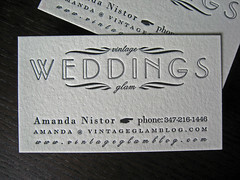 Amanda supplied the design for the business cards. We took the Photoshop file she supplied and recreated the layout in Illustrator. 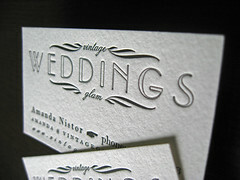 Adobe Illustrator is the ideal file format for letterpress designs since the layout is stored as vectors. 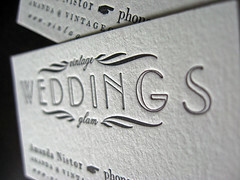 If you decide to use images in your design, make sure you have the highest resolution possible. 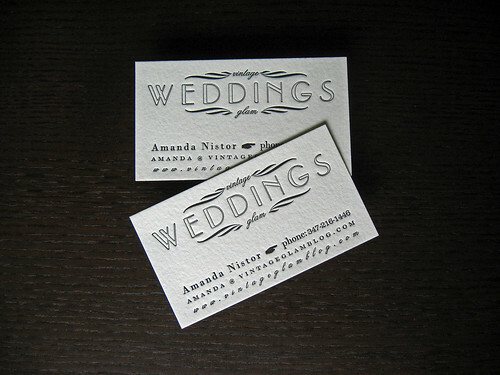 The images will be separated and turned into halftones … for an idea of what halftone images look like read our post on AllPopArt’s business cards. 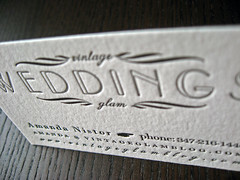 Amanda’s business cards were letterpress printed on our house stock (110lb Crane’s Lettra in Fluorescent White). The ink color was a simple black. 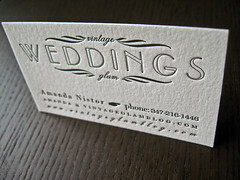 I hope you enjoyed the photos of the cards … make sure to check out the Ruffled blog to see what wedding Amanda is featuring today!